How are you coping as a new mother? I remember feeling completely overwhelmed at first. It was all so new and terrifying and I was in pain and exhausted. Of course, the love was overwhelming too, I felt love for my little one coursing through every vein in my body. I remember thinking, I have never felt so needed in my life. While mostly this made me feel amazing, I found being needed that much can feel like both a blessing and a curse, at times. When you became a mother you knew that your entire life, thought processes and priorities would change forever. You wouldn’t change anything for the world, because your little ones are now your life, heart and soul. You will admit now that you haven’t been treating yourself much lately, your sole focus is to provide a happy, healthy life for your little ones and that often means you are neglecting yourself. There are a few ways that you can relieve the stresses and strains from your life, so consider these seven heavenly ideas to set yourself free for once. 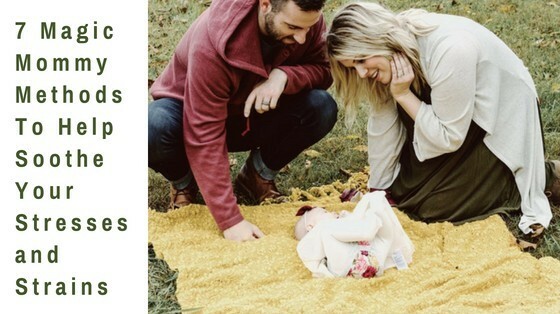 Getting into a good pattern with your new baby or little one will not only help them, but it will also give you some light relief. There are many elements that can improve sleep quality in newborns, so make sure you have all of the relevant things in place. From the temperature of the room to comfort of the mattress every little thing can contribute to the comfort of your baby. If they aren’t getting a good night’s sleep then this will have a knock-on effect on your quality of sleep too. Putting your little one first in this circumstance will help you out in the long run. Instead of getting caught up how many dishes you have to wash and how much laundry needs to be tackled, you should try and savour the precious moments with your little one. Sometimes the small things can make memories to last a lifetime, so worry less and smile more. You will never have your child at such a small age again so remember and document as much of it as you possibly can. When things start to feel overwhelming it is important to stay calm and positive. Whether you are worried about money, the future or simply day to day issues, you need to remain optimistic. When you wake up every morning tell yourself one positive thing about your life at that moment; be grateful for everything you have and seize the day from that moment. When you haven’t slept in weeks and everything gets on top of you it can be extremely difficult to snap out of negative thoughts. It will be a huge stress reliever if you can remain positive even during the darkest times. Even though your baby has become the centre of your world it is important to keep those special parts of your personality close by. Many mothers can lose a sense of their own personal worth because they become so focused on their child. If you started a business recently then try and keep up with it. If you used to love going to yoga then keep that going too. The more you keep up with your personal passions the more you will feel like yourself. Being in the company of a tiny baby and little children every day of the week can be exhausting to say the least. You wouldn’t want to change it for the world but sometimes you just want to have a cup of tea and talk to adults like yourself. It is completely normal to feel like this, so never feel shame or guilt. Get your best friend, sister or co-worker round for a catch up so you can truly get your mental state back on track. Don’t take on all of the responsibilities yourself and make sure you are getting the help you need to get by. Your partner should be a huge support to you, so make sure you are sharing the load of tasks and chores around the house. You will go mad if you are left doing every single piece of housework. Don’t be afraid to speak out and share your worries; they will be there to support you through everything. You need to take time out to just relax once in a while. Even if you can only have ten minutes to yourself each day it will be a huge help to your stress levels. Have a bubble bath, read a book or even take a nap; do whatever helps you to switch off your mind for a few minutes. So relax, share the workload and enjoy those precious moments with your baby. Everything will get easier as long as you remain happy, calm and positive. What self care methods have helped you the most as a new mother? Do you have help? Do you feel supported? Are you remembering to take care of yourself? Hi, I must say first of all that I came across this post just in time. 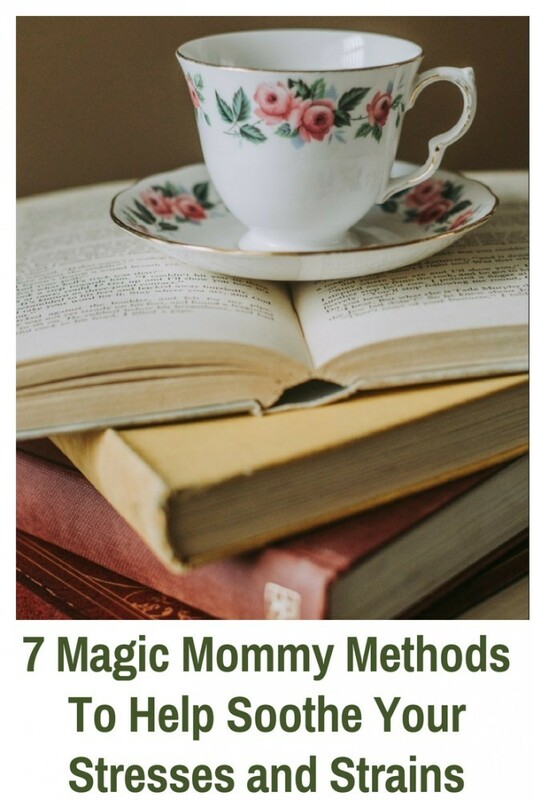 My niece had her bundle of joy 2 months now and she definitely needs these 7 Magic Mommy Methods. I think she will appreciate everyone of them. Oh boy, she does need to soothe the stresses and strains, but she doesn’t live with her partner. What is the best way for her to share the load? Thank you so much for passing on these tips to your niece, Carol. Shoo, am not sure how she would share the load with a partner who’s not in the same house. I wouldn’t want to let my little one out of my sight at only 2 months old. Does her partner visit and is he helpful when he’s there? I would imagine she would need to rely more heavily on girlfriends. Is there anyone who can support her at home? Does her Mom live close by? Does she have Mommy friends who can drop in when she’s feeling overwhelmed? that’s an amazing article. It really resonated with me: I’m not a Mom (obviously) but a Dad. And being a Stay At Home Dad means I deal with similar situations day in and day out! 🙂 I can totally relate to what you said about the ambivalence of how being needed can be beautiful and stressful at the same time. It’s funny: Just recently I have published a similar article on my own blog about how to survive as a Stay At Home Dad (without going crazy). Wow, Chris, I just read your post and it’s awesome. So honest. It was really great to get a Stay-at-home Dad’s perspective and your Survival Kit was spot-on! Our only daughter graduated from the University last week, so my memories of the crazy baby time are a bit fuzzy. As a husband, I did whatever I could to help my wife, but since she is a perfectionist, that was often not very effective. 1. Don’t be a perfectionist. Every parent makes mistakes and just doesn’t know all the answers. Perfectionism creates stress and stress creates more mistakes. 2. Breastfeed as long as possible. It creates a stronger bond between mother and child and should be far more relaxing than bottle feeding. My wife breastfed our child for 2 years! 3. Have an extended network of people you trust who can help out with the baby. This allows for sharing the pressure and allows some adult time as well. Make this a priority. 4. Completely ignore the advice of family, friends, and professionals who are not actively helping you with your baby. All this conflicting advice just gives you more pressure to please others. Hi Peter, Thanks for your amazing advice. I completely agree with you on all points and can vouch for the breastfeeding, especially. My son went full-term, which was almost 4 years for him. Also really appreciated your last point about conflicting advice. For example, I had family members advising me to schedule feeds 4 hours apart but when I asked them how long they breastfed for, they said their milk dried up in a few months. My goal was to get to 2 years so I knew I could not follow their advice. I went with the advice of an expert Lactation Consultant (IBCLC) who encouraged me to feed on demand and my milk only dried up when he was ready to let nursing go nearly 4 years later.